The Eurasian eagle-owl (Bubo bubo) is a species of eagle-owl that resides in much of Eurasia. 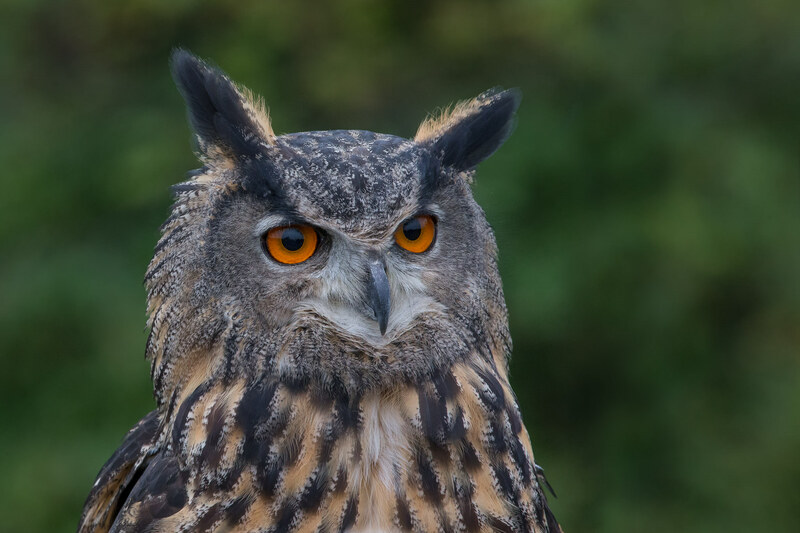 It is sometimes called the European eagle-owl and is, in Europe, where it is the only member of its genus besides the snowy owl, occasionally abbreviated to just eagle-owl. It is one of the largest species of owl, and females can grow to a total length of 75 cm (30 in), with a wingspan of 188 cm (6 ft 2 in), males being slightly smaller. This bird has distinctive ear tufts, with upper parts that are mottled with darker blackish coloring and tawny and the wings and tail are barred. The underparts are a variably hued buff, streaked with darker color. The facial disc is poorly developed and the orange eyes are distinctive. Besides being one of the largest living species of owl, it is also one of the most widely distributed. 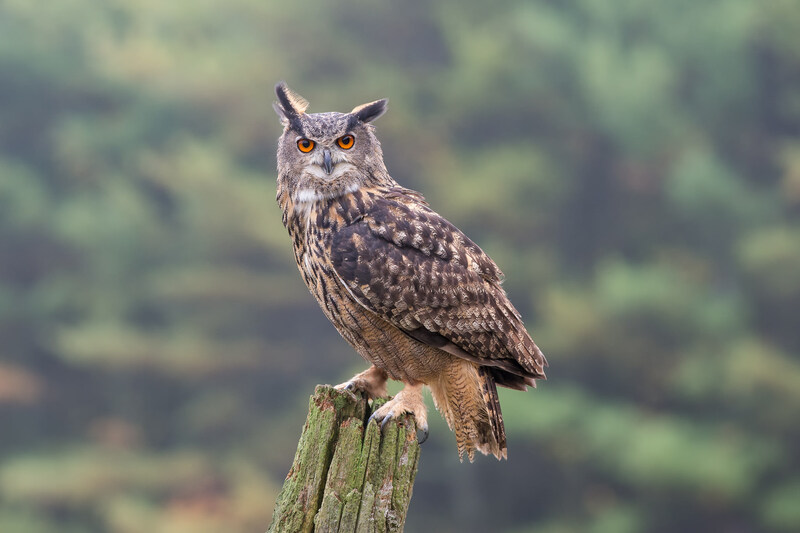 The Eurasian eagle-owl is found in a number of habitats but is mostly a bird of mountain regions, coniferous forests, steppes and other relatively remote places. It is a mostly nocturnal predator, hunting for a range of different prey species, predominately small mammals but also birds of varying sizes, reptiles, amphibians, fish, large insects and other assorted invertebrates. It typically breeds on cliff ledges, in gullies, among rocks or in some other concealed locations. The nest is a scrape in which averages of two eggs are laid at intervals and which hatch at different times. The female incubates the eggs and broods the young, and the male provides food for her and when they hatch, for the nestlings as well. Continuing parental care for the young is provided by both adults for about five months. There are at least a dozen subspecies of Eurasian eagle-owl.